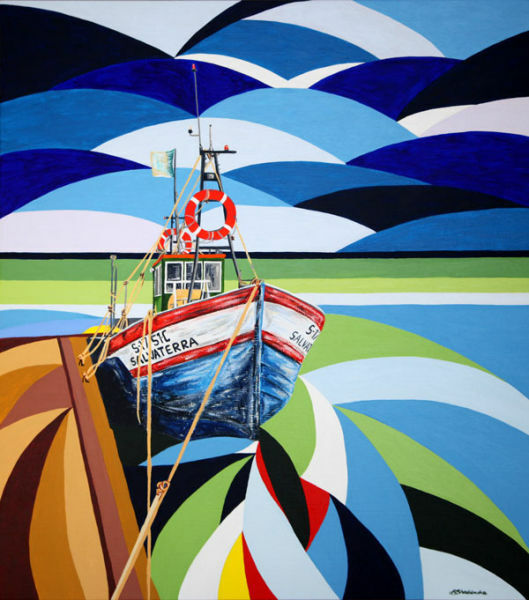 “The pretty fishing village of Alvor is home to some lovely boats moored to the side of the quay. With such a brilliant blue sky and such strong markings on the boat, this was an easy subject to choose. I'm sure the fishermen were bemused by the number of photos I took of the boat to make sure I got it right!"